This house is located in a heritage overlay area . 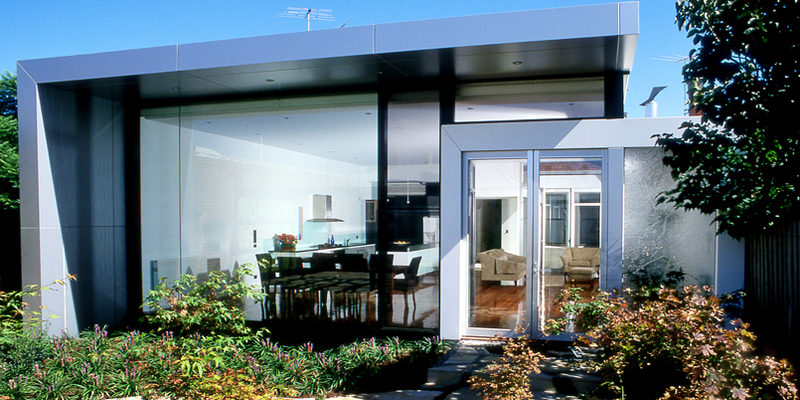 A new kitchen, dining and living area were designed with internal and external connections to the new extension. 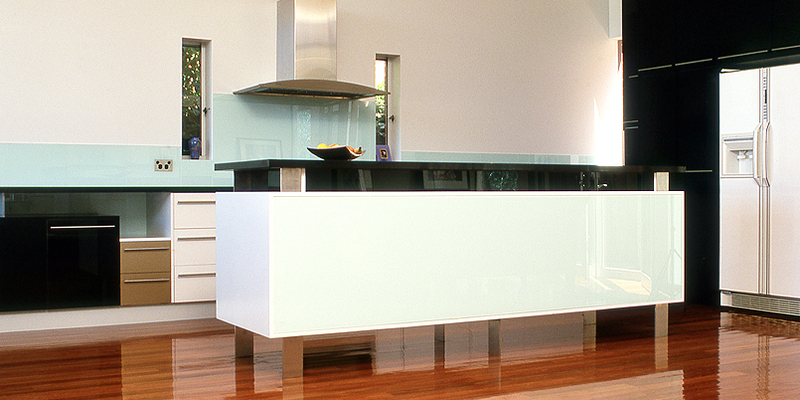 The kitchen’s central island is supported on stainless steel legs, independent of the floor structure. When constructed, the rear window had the largest single piece of glass in a single window in Melbourne.